Today I want to talk to Minkowski space. Minkowski space comes to the fore by the “human” need to want to represent a world of four dimensions, ie, wanting to represent space and time. In principle, space and time itself, are four dimensions which we can put some nerviositos as we are unable to think (usually) in more than three dimensions. So, for that reason Minkowski space is a four-dimensional, mathematical space, mainly. And to that used?. Well normally for general relativity, where time is an important part to changes in the space. And that peculiarity has Minkowski space ?. Simply that the curvature (you know the mass warps space-time and stuff) is zero, which helps a lot (mathematically speaking). What it is the funniest thing Minkowski space?. The nice thing is that the observer (if we put it at the origin of coordinates) if we throw a beam of light which we know travels at maximum speed (c) we must, from the observer visible for is a cone both for the past and the future as the distance that light travels in time walking is a straight line. 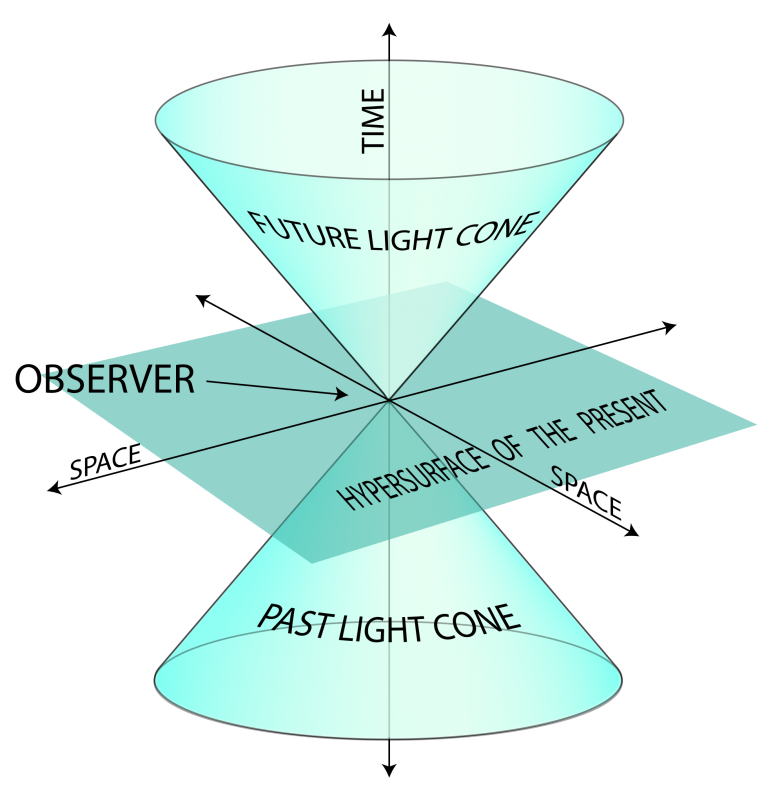 And as we have three dimensions, we have a cone whose “walls” is the light traveling “at top speed”. That is, if we leave the cone will have to travel more than the speed of light. Come on, that delimits the cone which is our visible universe and we can only see and move within that cone. It can be represented as a tensor, which mathematically helps, because it is a matrix, vector calculations are made. Therefore the Minkowski spaces are used in the base always tensor calculation and when the space is small and would represent an especially not exist mass interfering with the curvature.